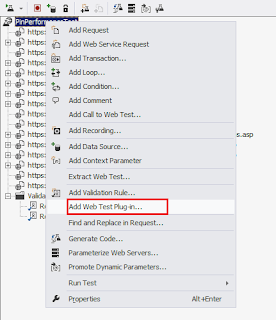 You might get into the problem - Request failed: The remote name could not be resolved: '<>' when trying to work with VS (Visual Studio) web performance / load test. You might be wondering the URLs works perfectly fine while recording, however during the playback (Run Test) the same URLs are not working. The answer is - during recording, the browser proxy settings for firewall authentication can access URLs. However, during playback (Run Test) VS doesn't know the proxy settings. Solution is to let VS know on the proxy settings. 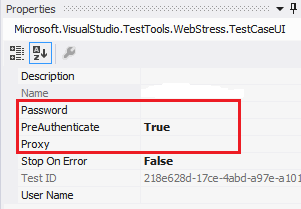 Note that the proxy settings set for the webtest properties, as shown in the below screenshot, sometimes might not work (probably bug in the VS). Create a class, inherited from WebTestPlugin as shown below. Create a class, inherited from WebTestRequestPlugin as shown below. 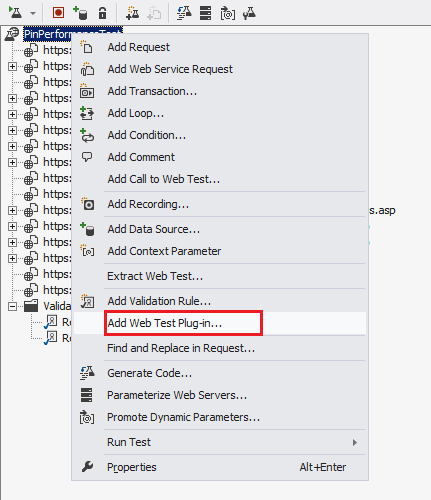 Attach the plugin to the each URL recorded in the webtest. i.e. Right click on the recorded URL and select "Add Request Plug-in". For the most times option 1 should always work fine.